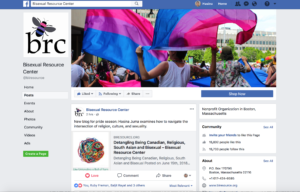 In honour of Pride Month 2018, a major not for profit centre in the US featured an article I wrote discussing how bisexual people of color have to choose between their multiple identities when they embrace their sexuality and currently can’t have it all. 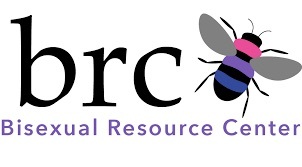 The June 15, 2018 article was posted on the Bisexual Resource Centre’s Facebook page which has over 15 000 followers as well as their website. 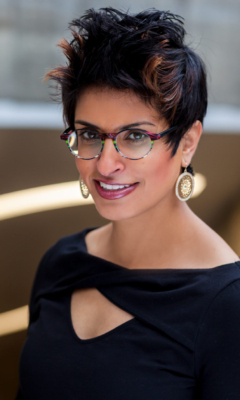 Anokhi Media, a trendy Canadian media outlet catering to the North American individuals who are of South Asian descent, featured a thought provoking story on the stigma of bisexuality in Canadian South Asian culture. 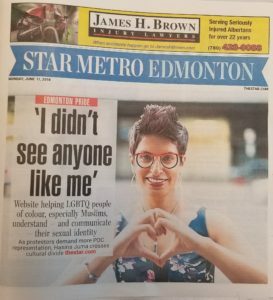 The article also showcased my positive coming out story along with my advocacy work in honour of Pride Month 2018. The June 15, 2018 story was posted on Anokhi Media’s website which has approximately 400 000 visits per year and has over 430 000 Facebook followers. In honor of Pride Week 2018, I was featured in a cover story about queer people of colour on June 11, 2018. 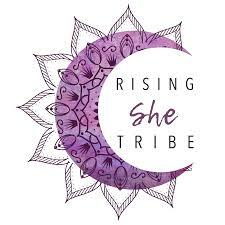 The article discusses the implication of hiding your sexual orientation on your life, outlines my positive coming out experience and discusses how communities of colour can be more affirming to individuals in the community who identify as LGBTQ2. Due to the uniqueness of the story, it was also picked up by The Star Calgary. 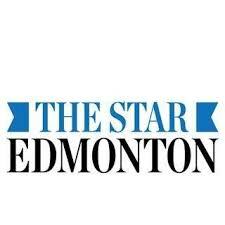 The Star Edmonton and The Star Calgary print 135 000 newspapers per day. 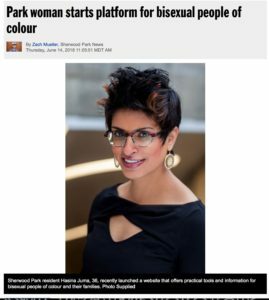 My advocacy work on raising awareness about bisexual people of colour was recognized through an article in the Sherwood Park News during Pride Week 2018. On June 15, 2018, the article was distributed to approximately 32,000 households. 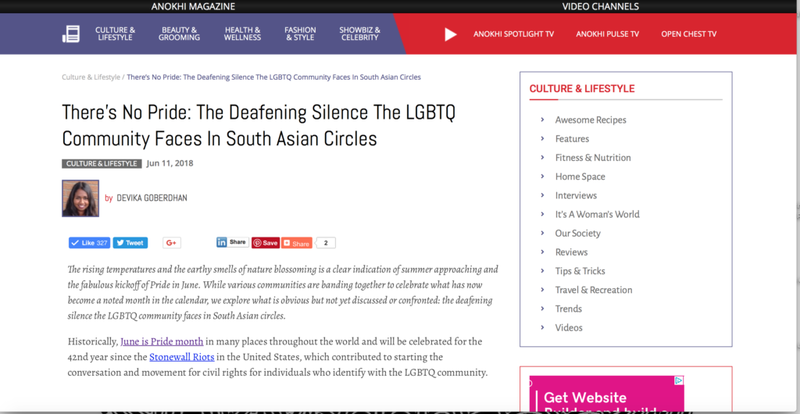 My article talking about the existence of bisexuals in the South Asian community was published by Curve Magazine, North America’s best selling magazine for Lesbian and bisexual women. The article has nearly 4000 views since being published on November 12, 2017.